Barclays is one of the top 5 retail banks in the UK, as well as one of the world’s largest financial services group, with over 300 years of experience. Over 8,000 companies in 23 countries choose to bank with Barclays due to their relationship-based and digitally-driven business model. Barclays Invoice Financing services include Cashflow Finance and Confidential Invoice Discounting, and a range of other business funding solutions to help businesses grow through unlocking funds owed. In 2016, Barclays reported their total income to be £21.4 billion, with total assets worth £1.2 trillion. They’re a global powerhouse with a large pool of resources and industry expertise, that can help you achieve your business milestones. So, let’s dive into our review of Barclays Cashflow Finance. Should You Use Barclays Cashflow Finance? Although their headquarters are in London, Barclays operates in over 40 countries. They were one of the first financial institutions to offer industry-specific services, covering a range of sectors including manufacturing, technology, and wholesales. Barclays is a member of Finance and Leasing Association, and can offer a wide range of solutions depending on your business type and size. You will have access to industry experts and dedicated relationship managers, as well as easy online access to manage your sales ledger and accounts. Their Cashflow Finance solution is for businesses that prefer alternative financing to traditional bank loans and overdraft. Your business can benefit from Cashflow Finance if you operate in the B2B sector and have a large number of invoices. This includes manufacturers, wholesalers, transport firms, staffing agencies, and business services firms. Barclays Cashflow Finance has costs and fees that depend on your contract. On their website, they don’t seem to advertise that they offer flexible packages such as rolling contracts, and thus you may face fees such as minimum usage charges, management fees, and an Invoice Financing service fee. Typical service fees for Barclays Cashflow Finance are typically charged at up to 3% of your annual turnover, depending on how much funding you need, and the size of your business. To receive an accurate quote, be sure to contact a Barclays customer representative. Barclays offers Cashflow Finance, as well as range of other products for their Business Banking services. Each solution is tailored to meet the needs of businesses from different sectors, who have their own unique needs. Their Business Banking solutions are an increasingly popular alternative finance option for businesses that want to improve cash flow and fund growth. Their services are available in multiple currencies, due to Barclays’ global outreach of business services. If you trade overseas, Barclays can offer you further foreign exchange services to assist with ease of operations. Barclays buys your invoices and advances up to 90% of your invoice value within 24 hours, which would allow you to reduce cash flow fluctuations, cover business expenses, and plan for future growth. This process can be confidential to your clients, and you will be responsible for credit control and collections. Barclays minimum annual turnover criteria is considerably higher than other Invoice Financing companies, who generally set this at £250,000. Barclays also offers Bad Debt Protection, and gives you access to their online system that you can use to track your sales ledger and submit electronic payment requests. Similar to Cashflow Finance, Confidential Invoice Discounting releases up to 90% of funds tied-up in your sales ledger and supports strategic growth. Your clients are unaware of Barclays involvement, and you control your own credit management and collections process. Barclays offers further Bad Debt Protection, as is customary with all their Business Banking services. Barclays Asset Finance allows you to spread the cost of new asset purchases over time, without having to use your immediate funds. You can preserve precious capital, while simultaneously generating income from your new equipment and machinery. Barclays offers flexible repayment plans (with interest) that support your cash flow cycles, and has specialists who can advise you to choose the right solution for your business. You also have the option to purchase the asset at the end of your agreed term. Currently, Asset Finance is only available to UK businesses that bank with Barclays. Barclays offers Asset-Based Lending as an option for you to rapidly raise funds against assets such as receivables, inventory, property, and machinery. You’ll receive a loan based on the value of your assets, which are used as collateral in the loan, thereby temporarily transferring ownership of your assets to Barclays. If you default on your payments, Barclays has the right to liquidate your assets to get their money back. Asset-Based Lending is suitable for medium-to-large sized companies with high-value assets. It creates new growth opportunities for your business by granting immediate access to necessary funds. Supplier Finance allows suppliers to request and receive early payment from Barclays, at a discount, while the buyer settles the full invoice to Barclays at a later date. If you’re a supplier, you are able to receive faster payments and not have to wait for long-term invoices to pay out. You will be able to satisfy your other orders, thereby reducing supply chain risk. Debt Capital Markets is another option for alternative business financing, whereby you gain access to global institutional investors who can refinance or restructure your existing debt. Barclays Debt Capital Markets team can also provide you with expert advice for raising debt for business activities such as acquisitions. In general, debt over equity as a financing tool because it tends to be cheaper, and diversifies your funding. Barclays Customer Support is accessible via telephone and chat support Monday through Friday, during normal business hours. If you have an online Barclays account, you also have the option to directly message a customer representative. Barclays Business Banking services, such as Cashflow Finance, comes with dedicated managers who can offer industry-specific expertise. You also receive 24/7 access to Barclays online platform to manage your sales ledgers, funding, and all other related information. 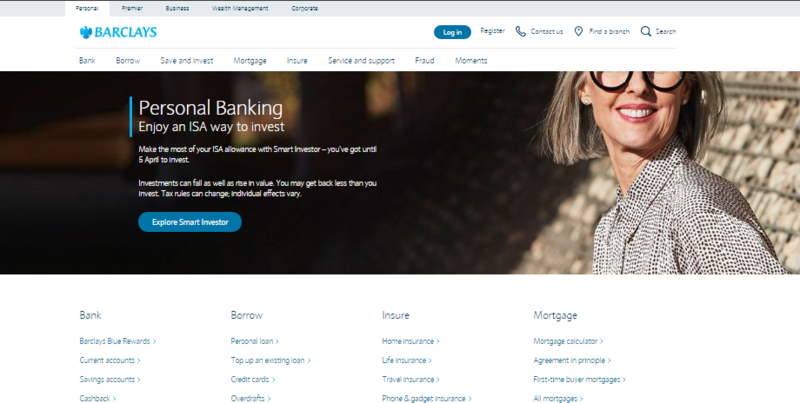 Barclays does not have any Cashflow Finance contracts specified on their website, which most likely means that they can tailor their contracts to meet your needs. It is important to note that large organizations, including banks, don’t often offer short-term or flexible contracts such as rolling contracts.They prefer to sign their clients on to long-term contracts that involve you creating a banking account with them, so that they can keep you as a client. Barclays Business Banking has a relatively low rating on review websites such as Trustpilot, with many people complaining about poor customer service and solutions that aren’t small business-friendly. On Reviews.co.uk, only 14% of reviewers would recommend Barclays to other businesses, while on Trustpilot, they have earned a 1-star rating from 851 reviews. The general consensus seems to agree that Barclays strengths lie in their Consumer and Retail banking, while offering Business Banking solutions that are more suitable for larger, corporate, or international businesses. Barclays Invoice Financing is comparable to the services provided by other major banks and international organizations in the UK, such as RBS, Lloyds, Hitachi Capital, and Bibby Financial Services. Barclays has the highest annual turnover minimum, which indicates that its not the most small business-friendly option in the UK. Their biggest advantage lies in the access to their vast wealth of monetary and intellectual resources. Barclays Business Banking is a viable option if your business is fairly established and is generating an annual turnover of at least £500,000. The minimum requirements for Barclays Cashflow Finance includes having a computerised credit control and management system, as well as a track record of consistent profitability. This makes them more suitable for businesses with high turnovers and stable profits, who want to access more working capital in order to fund growth. If your business is in its early stages or going through a difficult financial situation, look for independent providers that are small business-friendly, such as Bibby Financial Services and Ashley Finance. They have solutions for businesses with smaller turnovers, and are more forgiving of weak credit scores. Barclays is one of the top financial services providers in the UK, and the world. Their Business Banking has a wide selection of products and services available to businesses to assist in funding growth and expansion. They offer specialist finance and advice for a large number of sectors including manufacturing, wholesale, and technology. In essence, Barclays remains a popular option in the UK for Invoice Financing – if you meet their minimum requirements. But if you would rather work with an independent company who can understand and forgive your less-than-ideal business circumstances, there are still plenty of providers that you can choose. If you’re interested in finding out more or receiving a quote, be sure to reach out to a customer representative either by phone or chat support.